Planning a party? 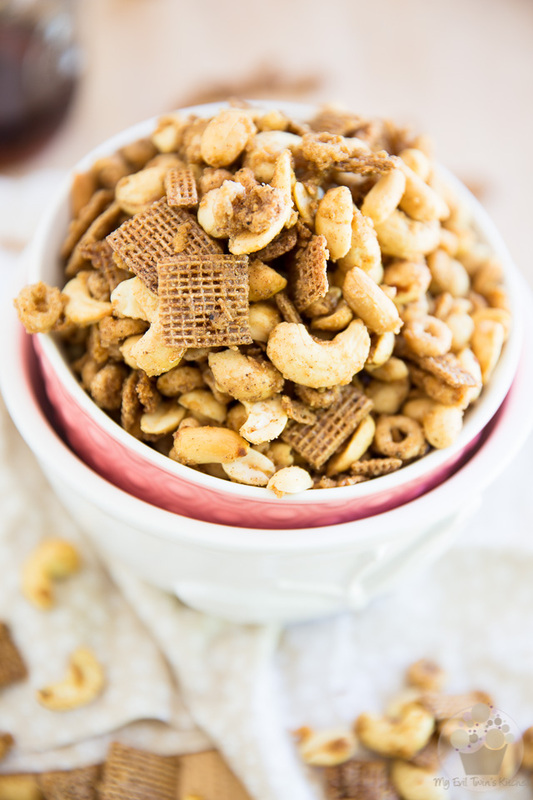 This Maple Chai Party Mix is just what you’ll need to satisfy your sweet snack attack (and that of your friends) when the craving strikes! Are you planning a party or do you have a bunch of friends coming over to visit? Or is there some kind of a sporting event coming up, perhaps… Hockey season is right around the corner, isn’t it? Or maybe you’re thinking that it would be nice to have an indulgent little snack handy for when the munchies start to tickle your tummy? 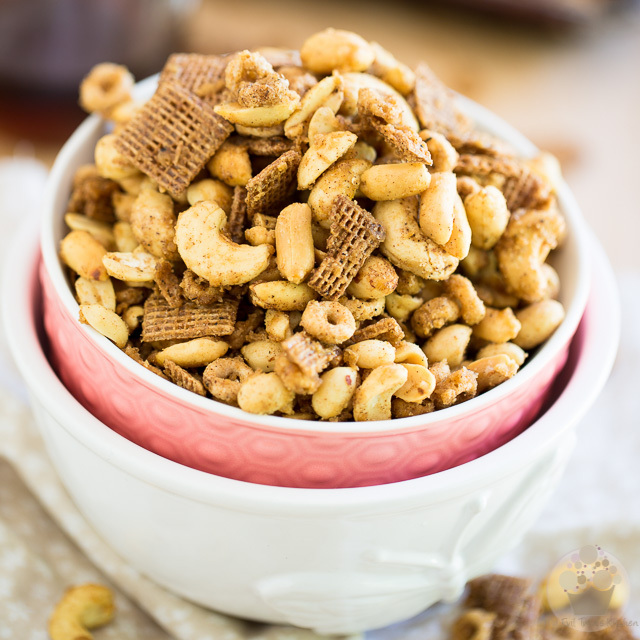 Then by all means, I urge you to whip up a batch of this sweet and salty, crispy, crunchy and totally scrumptious Maple Chai Party Mix. 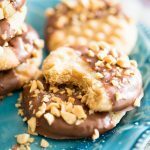 This stuff is as easy to make as it is dangerously addictive. 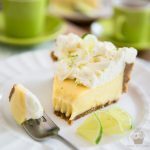 In fact, depending on whereabouts in the world you happen to be located, getting your hands on the pure maple syrup and maple sugar flakes that the recipe calls for will probably be the hardest part about getting it done. 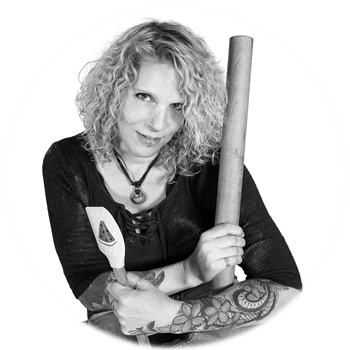 It’s totally worth doing whatever it takes to get your hands on the goods, though, trust me! 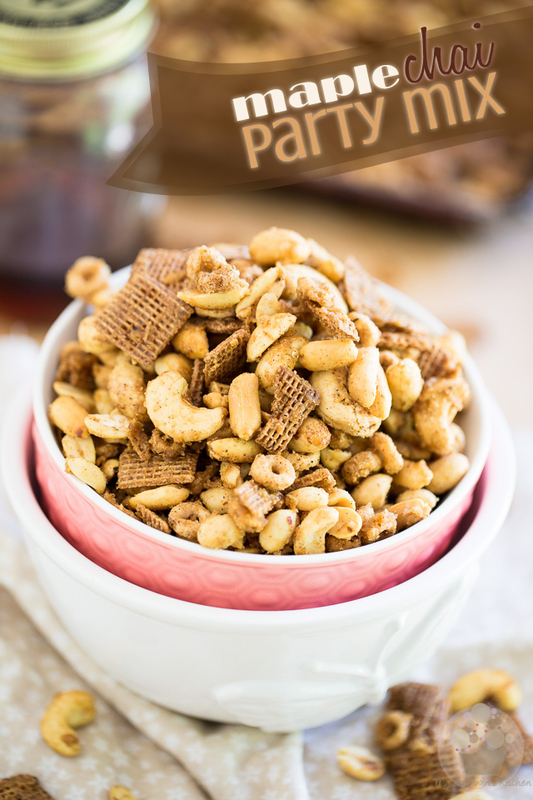 The second hardest part about making this Party Mix would be that you’ll need to let your tasty morsels dry for quite a few hours after they’re done baking, before you can serve or munch on them… now that one is really tough! 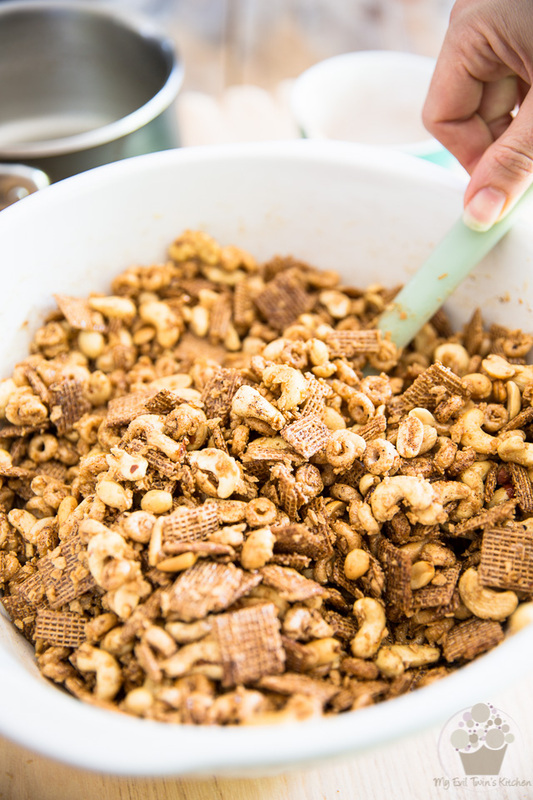 With that in mind, though, if you’re actually planning on serving this mix at a party, it’s probably best that you make it the previous day, or even a couple of days ahead of time. 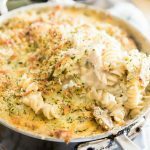 And if you’re not planning on making this for an actual party or event, you may want to make sure that you have a couple of friends or family members around to help you eat it… Or that you can at least put the blame on when the supplies are completely exhausted. 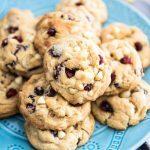 Preheat your oven to 300°F and line a 13″ x 18″ cookie sheet with parchment paper or even better yet, a silicon baking mat. 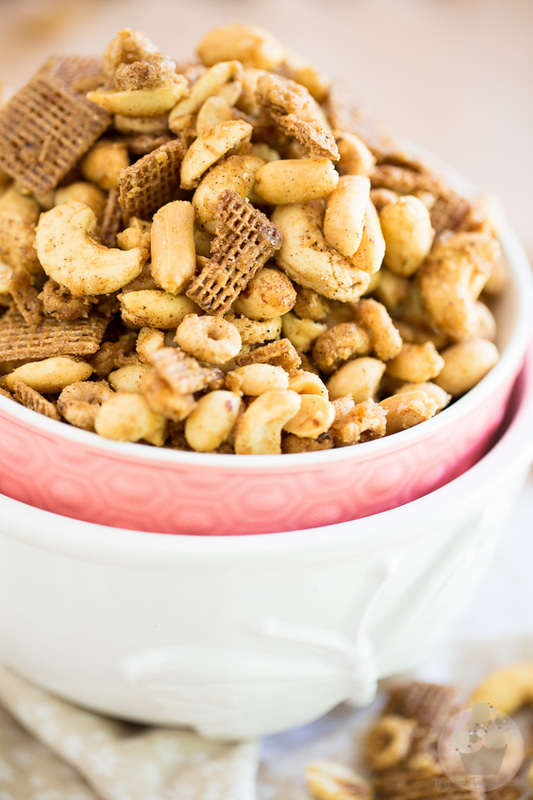 Combine the cereals and nuts in a large mixing bowl and stir to evenly distribute. In a separate, smaller bowl, combine the maple sugar flakes, salt and all the spices for the chai spice mix; mix until thoroughly combined. Finally, place the maple syrup and butter in a medium saucepan. Boil for 3 full minutes, kill the heat and stir the syrup until the foam is all gone. 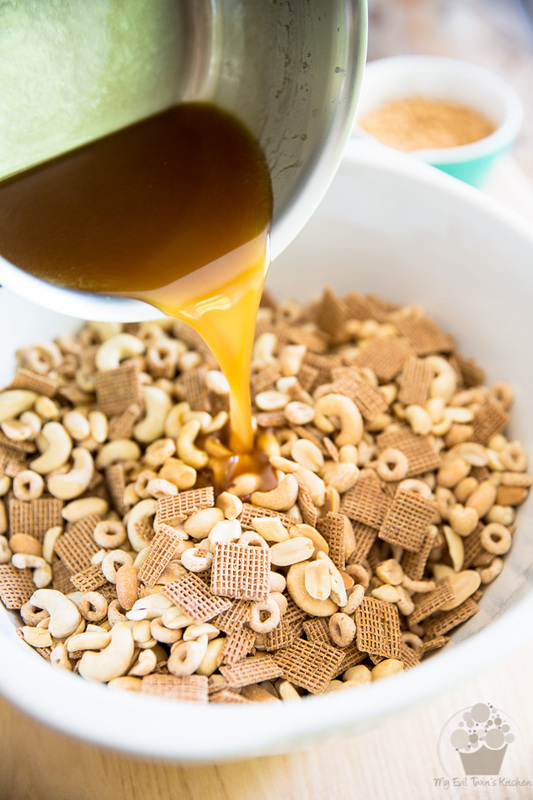 Pour the hot sticky syrup over the nuts and cereal mix and stir well with a wooden spoon or rubber spatula until evenly coated. 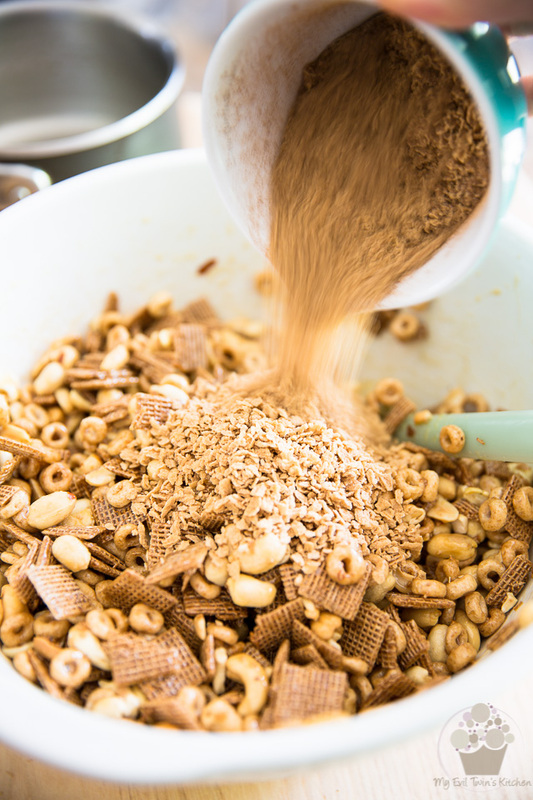 …and mix thoroughly, until every last piece of nut and cereal get its own personal share of the delicious bits of chai spiced maple sugar. 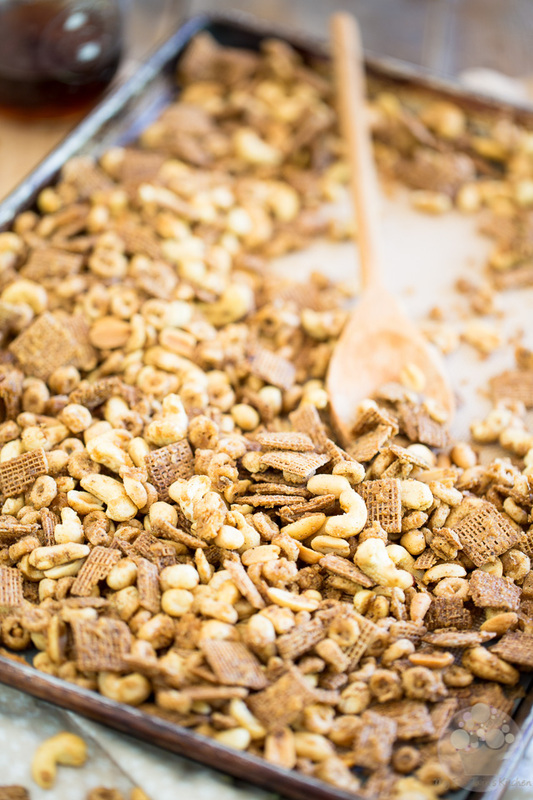 Transfer to the prepared baking sheet and spread onto an even layer; bake for 20 minutes, turning the pan 180° and stirring the mixture well halfway through baking time. Once the mix is done baking, kill the heat, crack the oven door open and leave the pan in the oven for about an hour. This will finish “drying out” the goody bits. 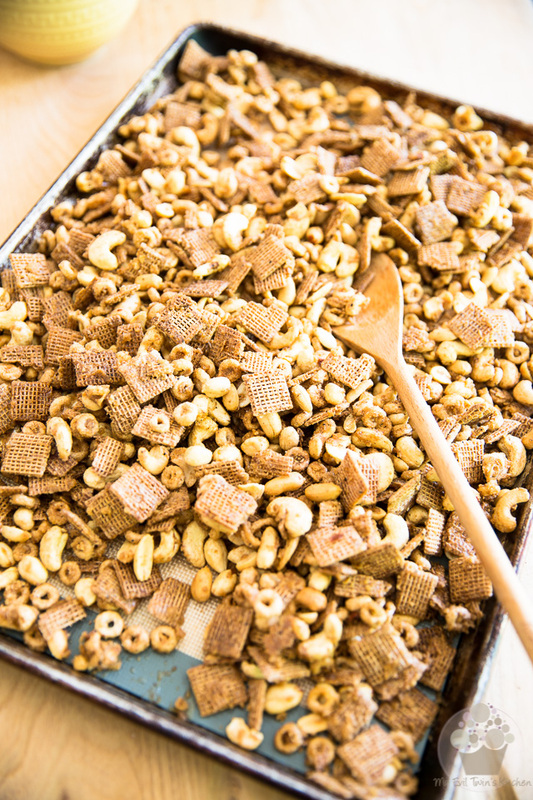 Then, remove your party mix from the oven and let it cool completely on the baking sheet. 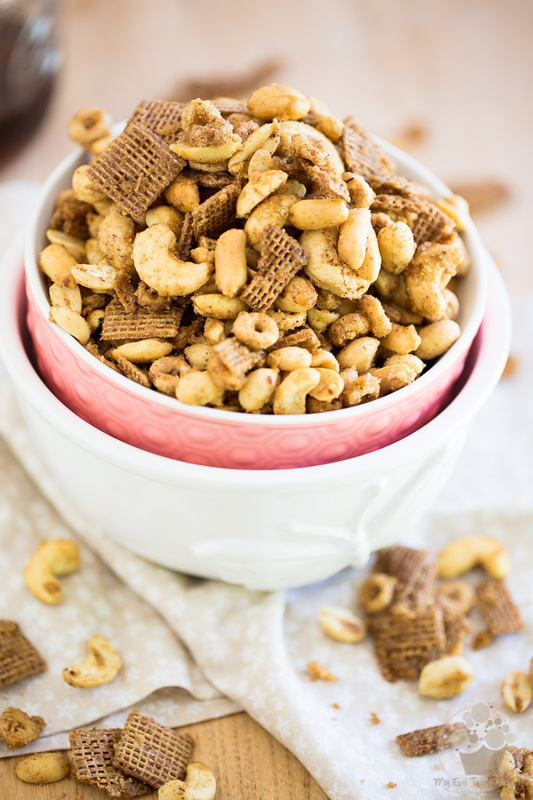 This tasty mix will keep in an airtight container for up to a few months… The only problem is, it’ll only last for up to a few days! Preheat your oven to 300°F and line a 13" x 18" cookie sheet with parchment paper or even better yet, a silicon baking mat. In a seperate, smaller bowl, combine the maple sugar flakes, salt and all the spices for the chai spice mix; mix until thoroughly combined. 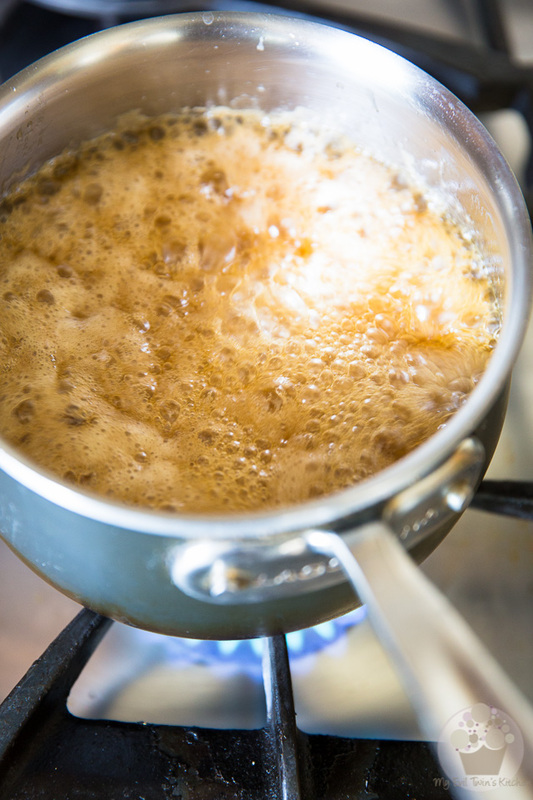 Place the maple syrup and butter in a medium saucepan and bring to the boil over medium-high heat; the mixture will rise and boil pretty violently, so keep a watchful eye on it to make sure it doesn't over-boil. Boil for 3 full minutes, remove from heat and stir the syrup until the foam is all gone. 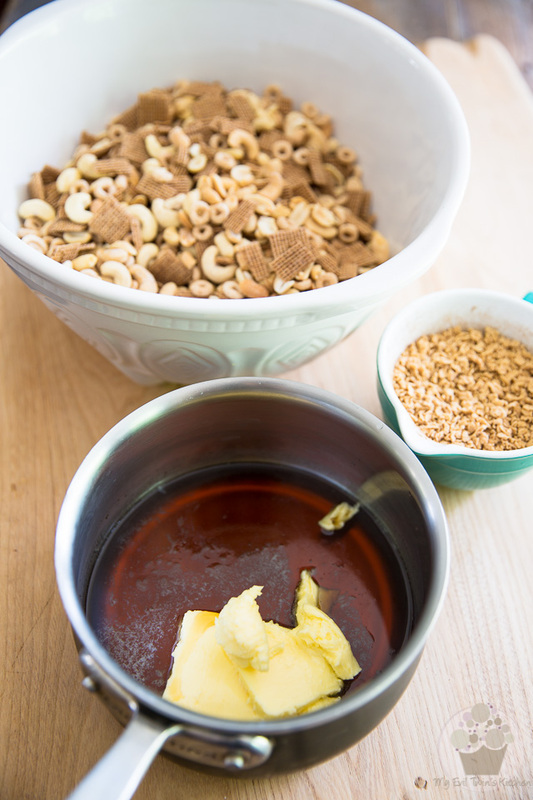 Pour the hot syrup over the nuts and cereal and stir well with a wooden spoon or rubber spatula until evenly coated; add the maple sugar chai spice mixture and mix thoroughly. 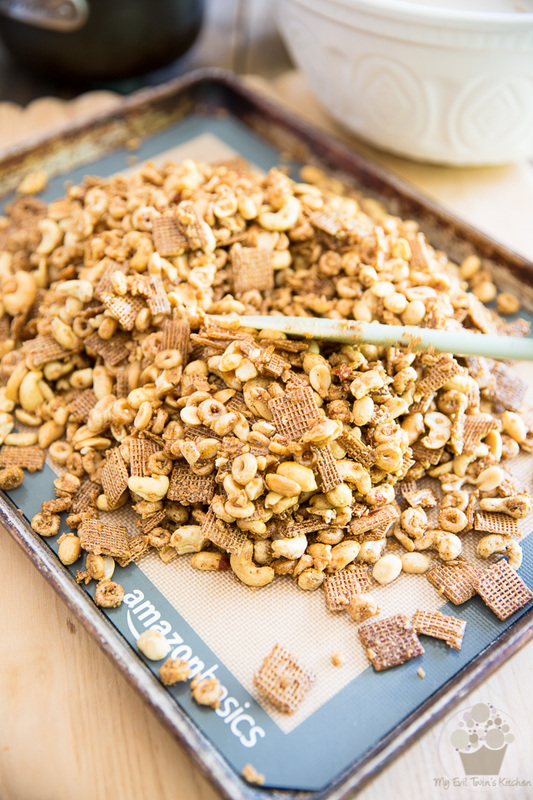 Kill the heat, crack the oven door open and leave the party mix in the oven for about an hour, then remove from the oven and let it cool completely on the baking sheet. Keep in an airtight container for up to a few months.